What I liked best about these cookies is that, there was no electric mixer required! The recipe uses canola oil instead of butter. Honestly, so easy. 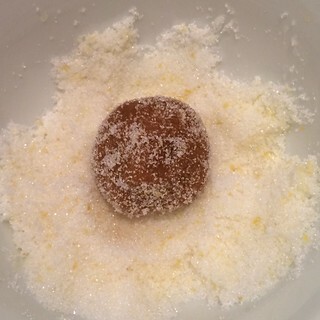 Mix the lemon zest and sugar together. Because I'm at high altitude, I adjusted my amounts and settings just a little bit. I added 2 Tbsp. 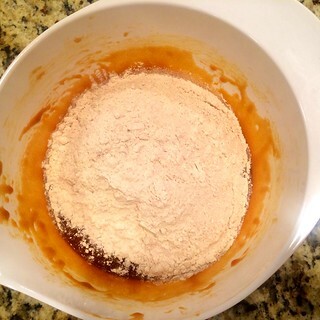 (16 g.) of flour and decreased my baking soda to 1-1/2 tsp. I baked the cookies at 350 degrees for 10 minutes. The result was a cookie that was slightly crisp on the outside and soft on the inside. 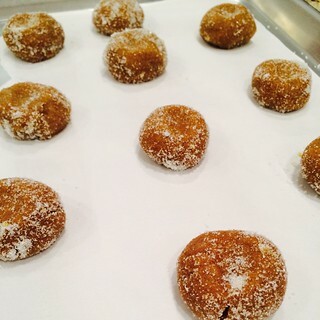 I LOVE soft gingersnaps. The lemon compliments it so well, and even though there is no butter used in the recipe, the cookies surprisingly taste buttery. They were a HUGE HIT at my house, even 2-3 days later. They are definitely best served warm! I had extra lemon sugar left over, and I couldn't bear to throw it away. I put it in a ziploc bag and will use it for another batch. 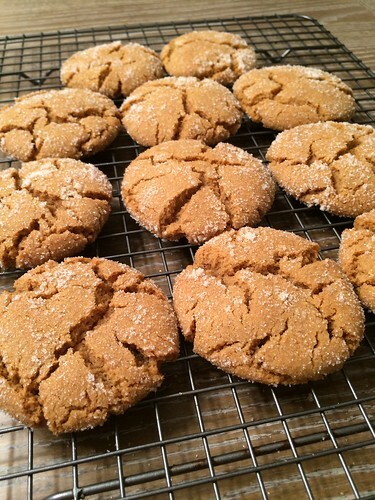 Head over to Baked Sunday Mornings to see what some fellow bakers thought of these yummy gingersnap cookies! Love the crackling on top! Hmmm, my dough was not nearly as firm as yours, and was hard to roll. Maybe it needed a bit more flour as yours looks like the ideal consistency for rolling!